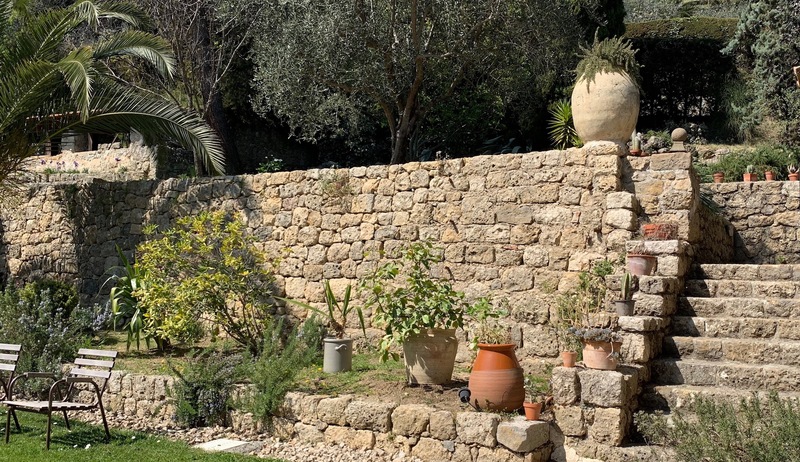 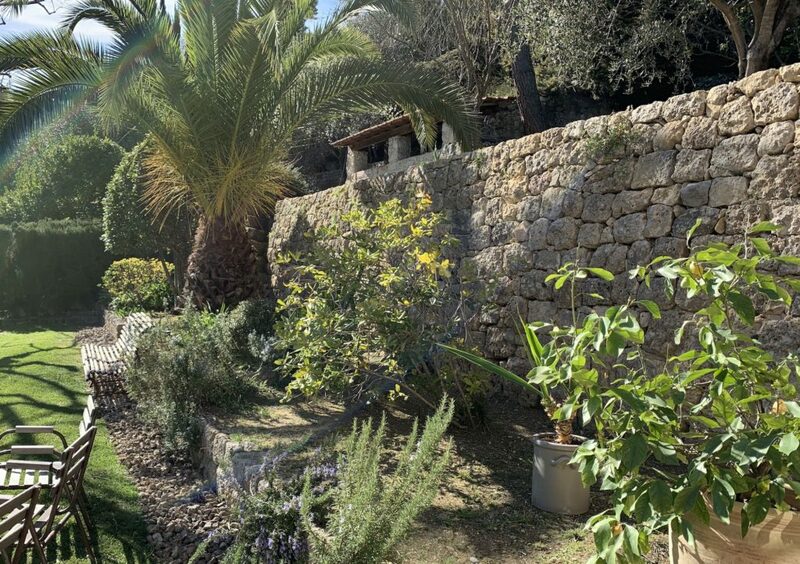 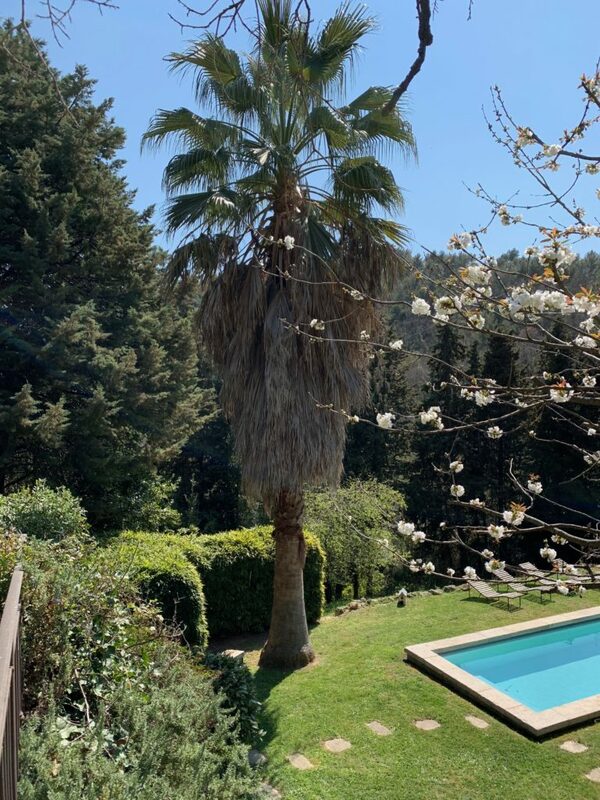 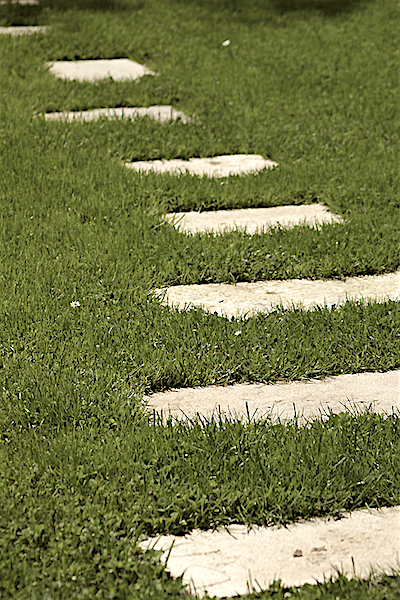 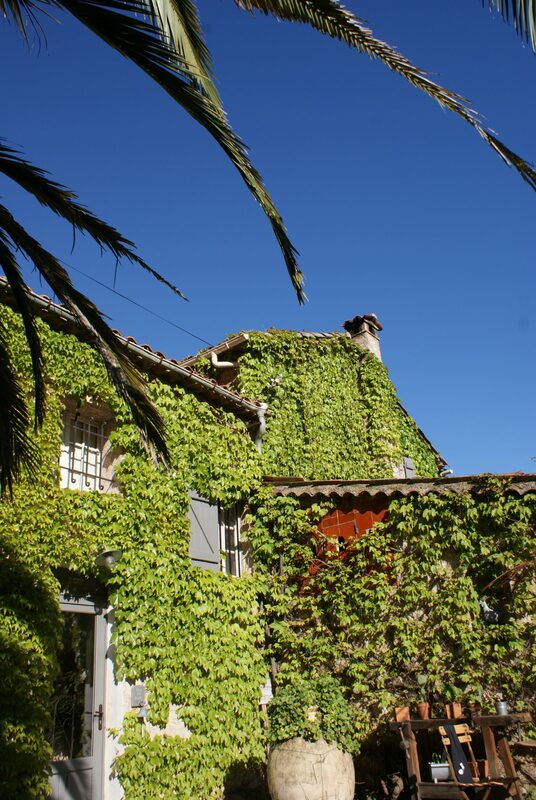 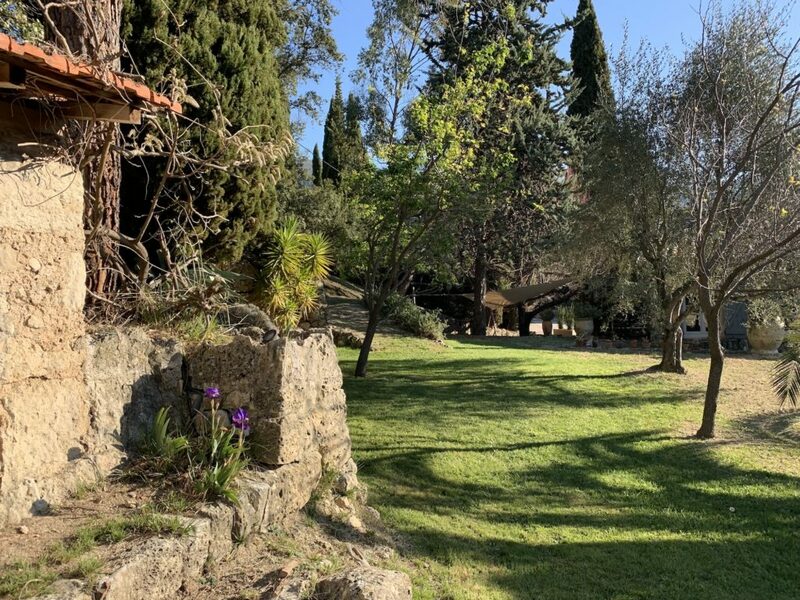 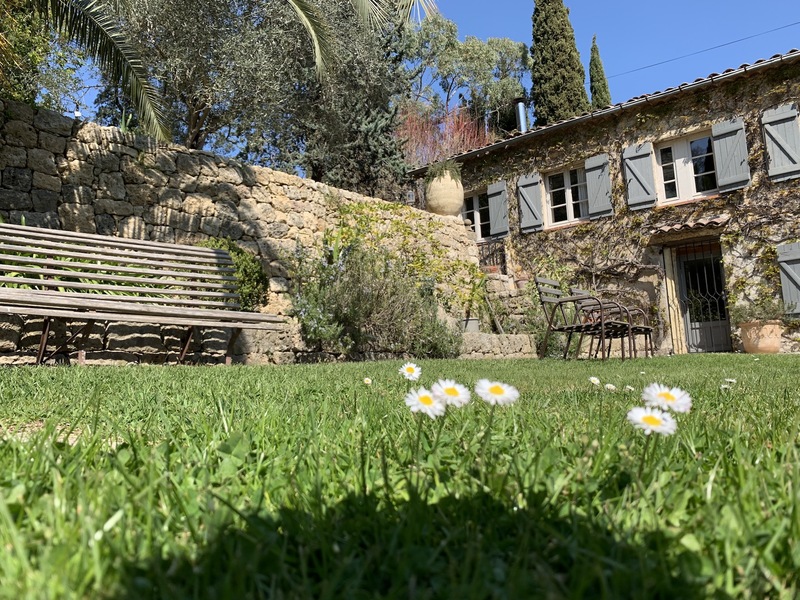 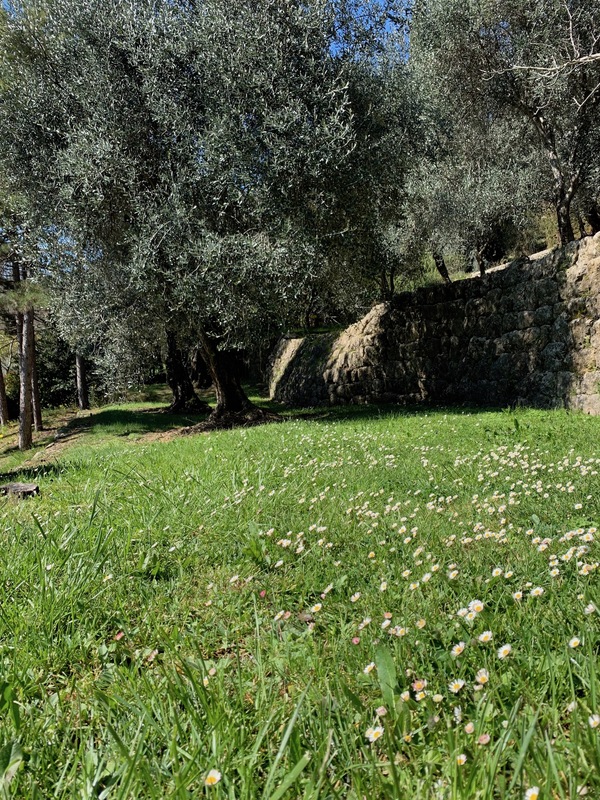 The garden of the Mas du Naoc is a succession of « restanques » , the provençal word for terraces on sloping land, where each one of you can find a quiet place in the shade of olive trees or magnolias. 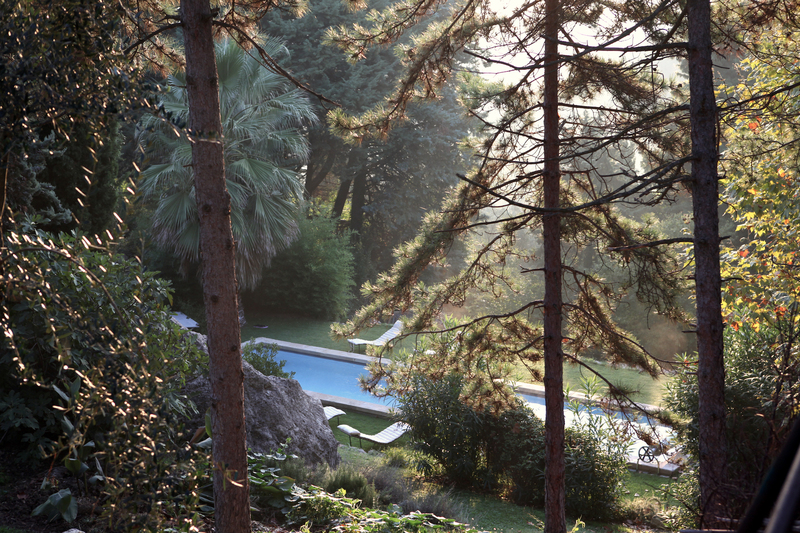 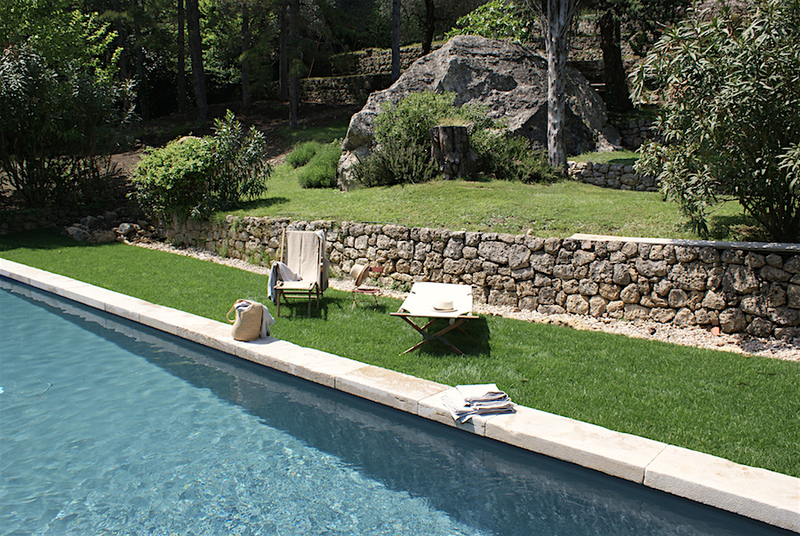 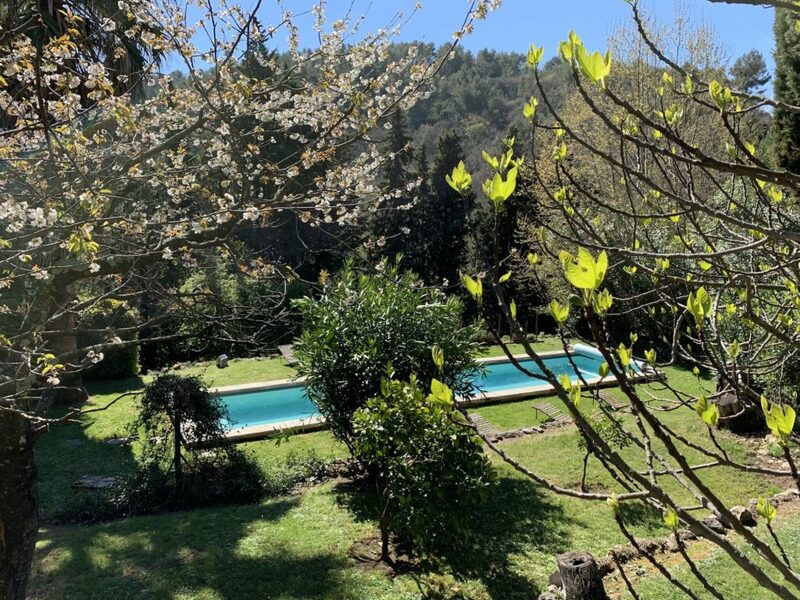 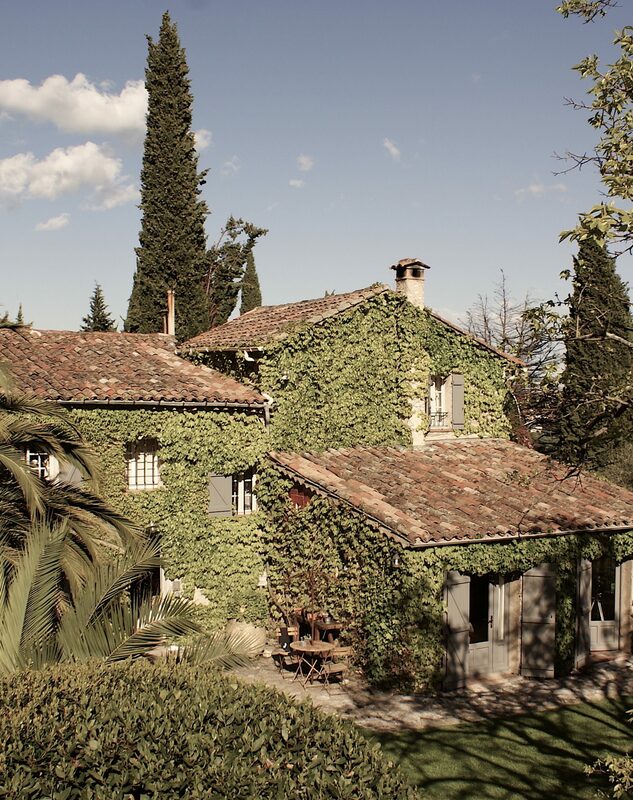 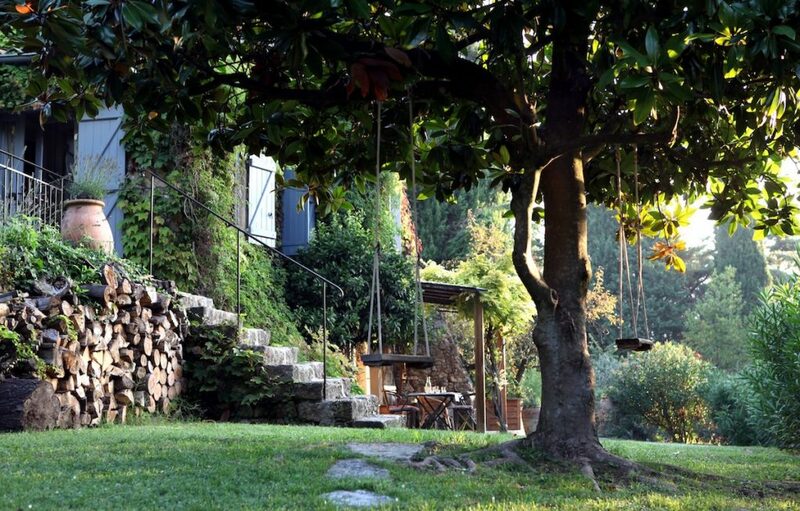 With the murmur of the water spring and scents of orange trees and jasmine, the garden is an invitation to relax by the swimming pool, heated from April to fall. 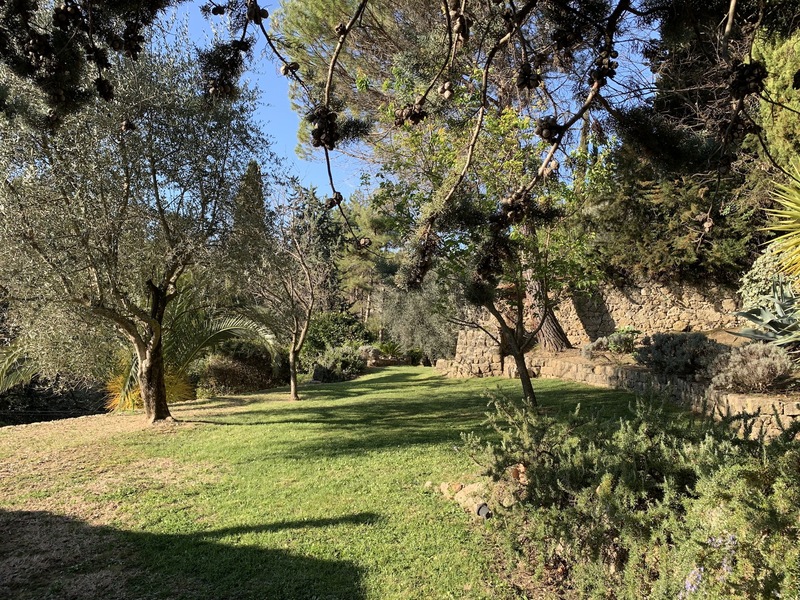 Planted with mediterranean species the estate spreads over 6000 square-meters of palm, olive and lemon trees, jasmine, lavender and rosemary shrubs, apricot fig and almond trees. 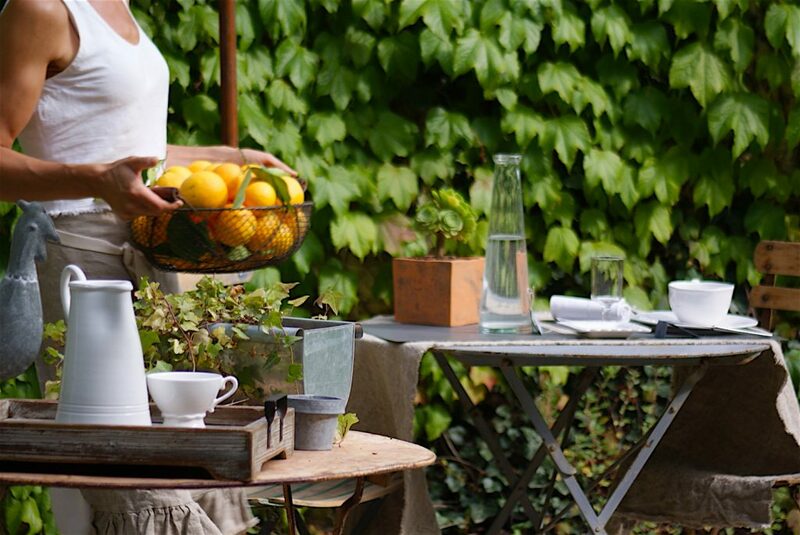 Every season, we use the fruit we pick to make delicious jams and jellies, spiced with a touch of fennel and anise or a sprig of rosemary. 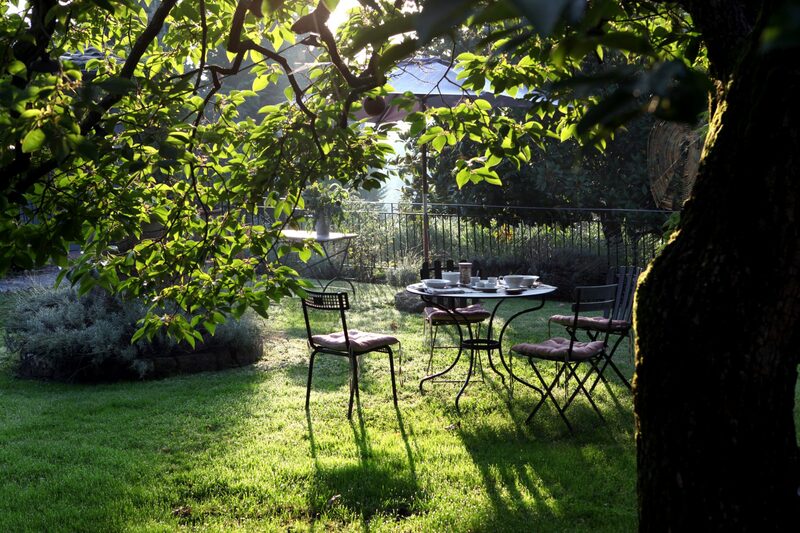 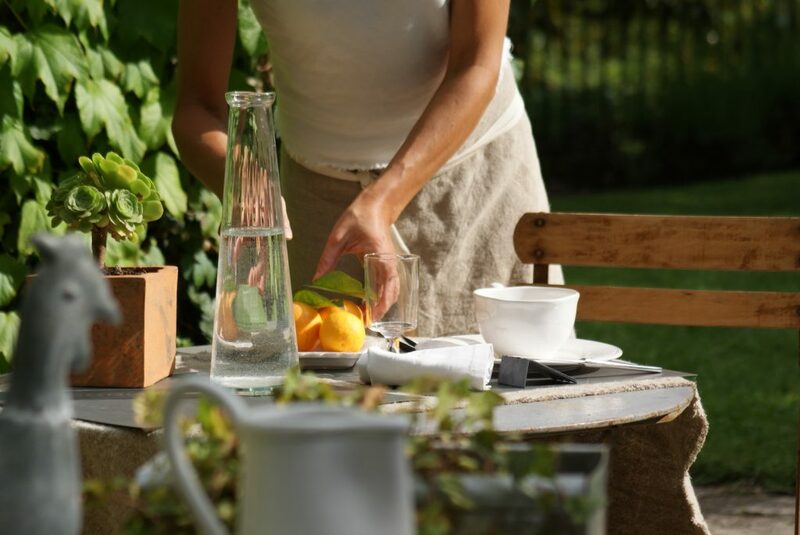 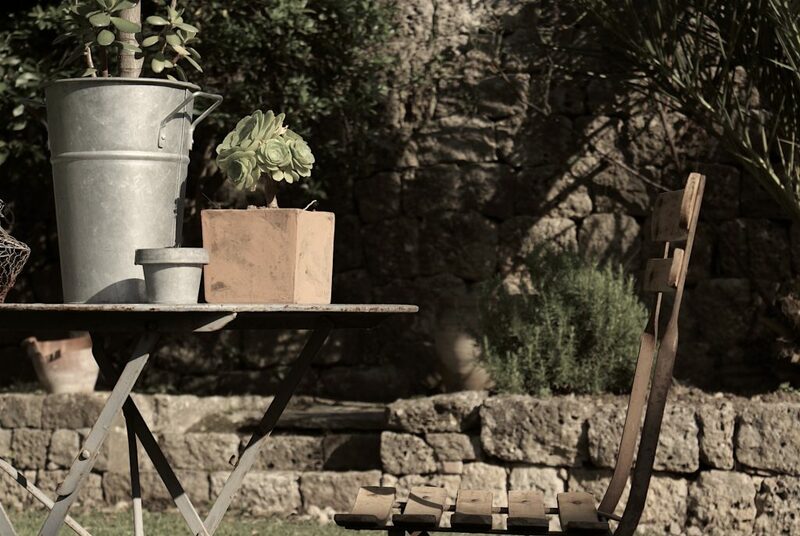 Thus, breakfast served outside, in the garden, will have the flavours and fragrances of Provence. 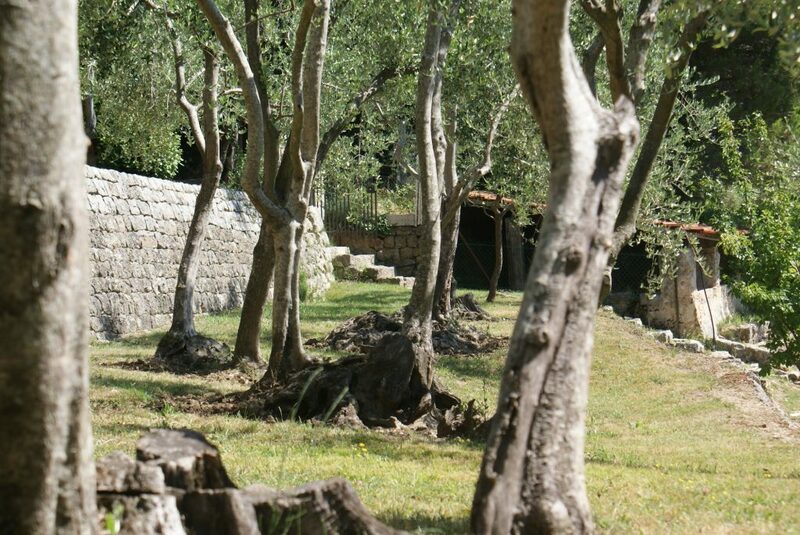 At the Mas du Naoc, winter is the time of olive harvesting. 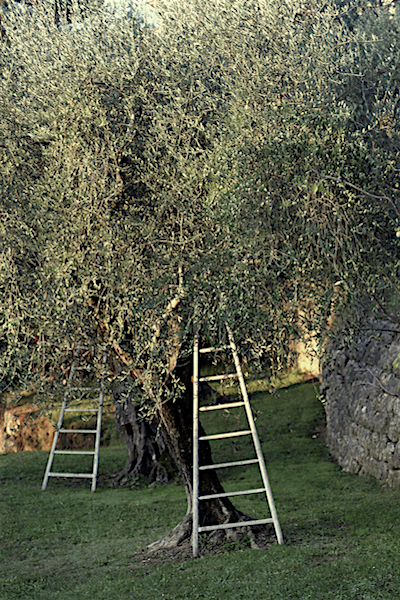 The « Caillettes » , a local variety, is hand-picked, one by one, collected in crates and taken to a village olive-oil mill where they are pressed with ancestral techniques, to get the best possible aroma. And this is how our olive oil is used in the gourmet recipes you can taste for breakfast.